Revolutionise back therapy with an innovative, award-winning medical device that improves patient outcomes and therapy efficiency. Designed by therapists, movement scientists and medical experts, ValedoMotion is a smart assessment and movement exercise solution for health professionals treating back pain. It combines the latest Bluetooth technology and software and 3D motion sensors to give real-time feedback while playing smart games that target the back. If you’re interested in purchasing Valedo®Motion, or would like to discuss the product or see a demonstration, please contact us. ValedoMotion assists medical experts (e.g. doctors, physical therapists, chiropractors, movement or sports scientists) in improving patients’ motor control and movement awareness of the trunk, e.g. in back pain treatment. It provides structured assessments and exercises with augmented performance feedback for different therapy goals. ValedoMotion was developed due to the all to evident limitations of conventional back therapy which include: lack of patient motivation, lack of real-time feedback, and lack of accurate standardised objective assessment of back position and movements. 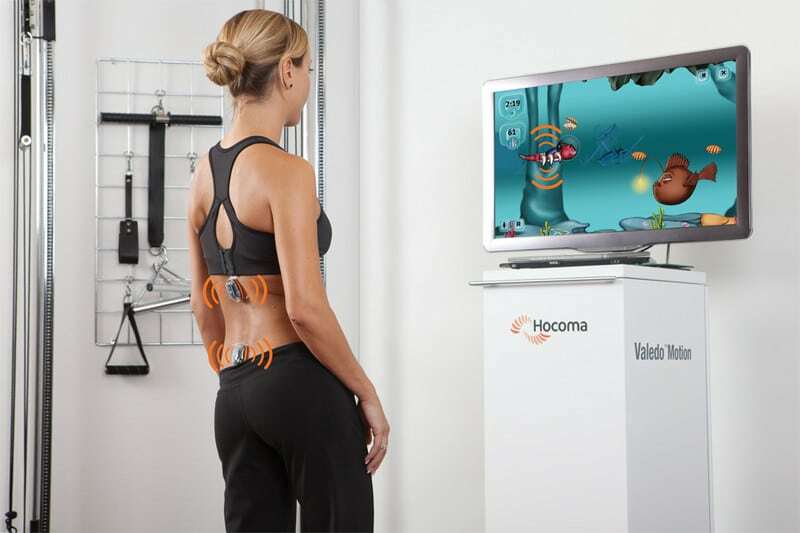 ValedoMotion revolutionises back therapy by giving highly motivating smart games (assessments and exercises), real-time feedback and standardised and accurate objective assessments. The benefits of ValedoMotion go even beyond this by improving efficiency of back therapy by enabling limited supervision and more patients to be treated within the same timeframe. The Valedo®Motion is a medical (ARTG registered) back training device that offers functional and motivating exercises for an improved therapy outcome. Individual therapy plans, relevant assessments, motivating exercises and visualization of movements help the therapist educate correct movements and improve the patient’s movement awareness. Which patient should use ValedoMotion?